Chiropractic Care and Weight Loss … Are they linked? Obesity is often times associated with many health problems such as cardiovascular disease, breast cancer, diabetes, colon cancer, and gall bladder disease. Along with these, excessive weight can also make one individual feel insecure, embarrass and uncomfortable. The cause of this weight gain can be because of excessive food intake and physical strain. There are also internal conditions that results to obesity like, violation as hypothalamic-small but highly important department brain decreased pancreatic secretions and the thyroid glands, adrenal. Furthermore, overeating can be because of stress, boredom, food or comfort issues and malnutrition. Malnutrition is the most common physical reason for one to indulge in overeating. By doing this, the body is getting plenty of calories, but can still be deficient in one or more nutrients. This will keep the body to feel hunger that will prompt the individual to continue eating in an attempt to gain the lacking nutrition. Most of the people who tried dieting fail because of the reduced needed nutrients are causing increased hunger making it hard for people wanting to lose weight to simply cut down on the amount of the food they eat. This prompted clinicians to develop a multifaceted approach to weight loss. This includes behavioral modification, nutritional guidance, and physical activity. In this case, Chiropractors can be a big help for those people who are considering weight loss. They offer nutritional counseling and guidance that can help slim wannabes evaluate their current lifestyle and nutritional needs. The first step in order to achieve successful weight loss is the evaluation of the individual’s needs. Chiropractors could offer encouragement and advice for this matter. The procedures offered by Chiropractic care in the case of weight loss could include spinal manipulation, massage, and nutritional advice. Spinal adjustments and manipulation can be very effective in weight loss management, as claimed by some studies. This is because, in the process of spinal manipulation, flexibility is further enhanced that takes off the pressure in spinal cord. During the procedure, spinal alignment helps in the absorption of essential nutrients and distribution of oxygen. With regular manipulation and chiropractic weight loss exercise combined, the individual can gradually lose weight. Researches also confirmed that massage can be very advantageous to the muscle building ability of the body as well as fitness levels. This increases the person’s capacity to reduce or control weight gain. Firm and toned muscles reduced the body’s excess fats in the adipose tissues. Most likely, chiropractors would suggest the person wanting to lose weight to avoid drugs, alcoholic beverages and other vices. They will also be advised to have adequate sleep, refrain from caffeinated drinks and smoking but in return must drink plenty of water and natural fruit juices. This lifestyle can help in the program of losing weight because of the reduction of caloric intake and substituting it with nutritious foods. (NaturalNews) More evidence has emerged showing the complete failure of modern vaccines to provide any real protection against disease. A recent study published in The New England Journal of Medicine (NEJM) reveals that an astounding 97 percent of children affected by a mumps outbreak that swept the Northeast back in 2009 had already been vaccinated for the condition in accordance with recommended government guidelines. According to the study, 3,502 children of primarily Orthodox Jewish upbringing developed mumps between June 28, 2009, and June 27, 2010, as a result of an unusual “face-to-face” educational method used at certain all-boys Jewish schools throughout the New York and New Jersey areas. Among those affected by the outbreak, 97 percent were said to be Orthodox Jewish persons, and nearly one-third were between the ages of 13 and 17. 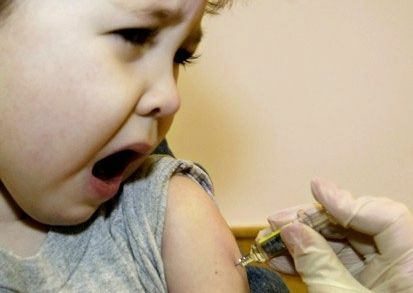 After confirming 1,648 cases of infection using clinical specimens, the research team that compiled the study determined that 89 percent of all those who contracted mumps as a result of the outbreak had already been vaccinated at least twice for mumps, presumably with the controversial measles, mumps, and rubella (MMR) combination vaccine that has been implicated in causing gastrointestinal disorders and autism. Another eight percent of the group had reportedly received only one dose of the mumps vaccine. When combined, these percentages translate into a 97 percent vaccination rate among all those affected by the mumps outbreak, leaving only three percent unconfirmed as having ever been vaccinated. What this means, of course, is that the MMR vaccine was essentially useless in conferring protection in this case, at least as far as mumps is concerned, and that parents would do well to think twice about administering this toxic vaccine to their children. “The epidemiologic features of this outbreak suggest that intense exposures, particularly among boys in schools, facilitated transmission and overcame vaccine-induced protection in these patients,” wrote the authors in their conclusion, basically admitting that the mumps vaccine provides no real protection against the disease. But what exactly constitutes “intense exposure” anyway, and how is this really any different than common exposure? In an apparent effort to rationalize away the findings, some reports have suggested that because the group most affected was “boys in schools,” this particular outbreak was somehow unusual and atypical, and not indicative of the effectiveness of vaccines on a larger scale. But in reality, the findings show quite the opposite — that vaccines actually increase the risk of disease transmission. Only a very small percentage of those affected by the outbreak, eight percent, had received one vaccination dose for mumps, while the vast majority of the rest had received at least two doses. This suggests that those who received two doses of MMR were actually more likely than those who received just one to contract the disease. Next to that, only a very small fraction of the remaining cases were unaccounted for, which suggests unvaccinated individuals actually had the highest levels of immune protection during the outbreak. further prove that vaccines are neither safe nor effective. Chiropractic Care and Ear Infections… Get your Child(ren) Checked today! 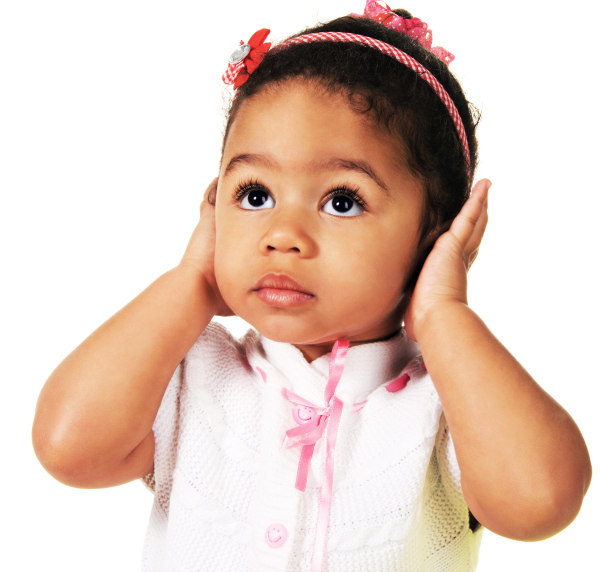 Ear problems can be excruciatingly painful, especially in children. With 10 million new cases every year, ear infections (otitis media) are the most common illness affecting babies and young children and the number one reason for visits to the pediatrician—accounting for more than 35 percent of all pediatric visits. Almost half of all children will have at least one middle ear infection before they’re a year old, and two-thirds of them will have had at least one such infection by age 3. The symptoms can include ear pain, fever, and irritability. Otitis media can be either bacterial or viral in origin, and frequently results from another illness such as a cold. For many children, it can become a chronic problem, requiring treatment year after year, and putting the child at risk of permanent hearing damage and associated speech and developmental problems. Standard treatment for most cases of otitis media is with antibiotics, which can be effective if the culprit is bacterial (antibiotics, of course, do nothing to fight off viruses). But, according to many research studies, antibiotics are often not much more effective than the body’s own immune system. And repeated doses of antibiotics can lead to drug-resistant bacteria that scoff at the drugs, while leaving the child screaming in pain. Frequent ear infections are also the second most common reason for surgery in children under 2 (with circumcision being the first). In severe cases—for example, when fluids from an ear infection haven’t cleared from the ear after several months, and hearing is affected—specialists sometimes prescribe myringotomy and tympanostomy, more commonly known as “ear tubes.” During the surgical procedure, a small opening is made in the eardrum to place a tube inside. The tube relieves pressure in the ear and prevents repeated fluid buildup with the continuous venting of fresh air. In most cases, the membrane pushes the tube out after a couple of months and the hole in the eardrum closes. Although the treatment is effective, it has to be repeated in some 20 to 30 percent of cases. And this kind of surgery requires general anesthesia, never a minor thing in a small child. If the infection persists even after tube placement and removal, children sometimes undergo adenoidectomy (surgical removal of the adenoids)—an option that is effective mostly through the first year after surgery. Before yet another round of “maybe-they’ll-work-and-maybe-they-won’t” antibiotics or the drastic step of surgery, more parents are considering chiropractic to help children with chronic ear infections. Dr. Joan Fallon, a chiropractor who practices in Yonkers, New York, has published research showing that, after receiving a series of chiropractic adjustments, nearly 80 percent of the children treated were free of ear infections for at least the six-month period following their initial visits (a period that also included maintenance treatments every four to six weeks). “Chiropractic mobilizes drainage of the ear in children, and if they can continue to drain without a buildup of fluid and subsequent infection, they build up their own antibodies and recover more quickly,” explains Dr. Fallon. She’d like to see her pilot study used as a basis for larger-scale trials of chiropractic as a therapeutic modality for otitis media. Dr. Fallon, whose research garnered her the acclaim of childrearing magazines like Parenting and Baby Talk, often sees great success when she treats a child for otitis media. “Once they fight it themselves, my kids tend to do very well and stay away from ear infections completely. Unless there are environmental factors like smoking in the house, an abnormally shaped Eustachian tube, or something like that, they do very well,” she says. Talk to your doctor of chiropractic about your child’s ear infections. Doctors of chiropractic are licensed and trained to diagnose and treat patients of all ages and will use a gentler type of treatment for children. Northern Lights Chiropractic adjustes children of EVERY age! Get your children Checked today! Call us 315-782-7162!